The Wikipedia definition of evolution is, " Evolution is change in the genetic material of a population of organisms through successive generations". The changes in a single generation leap can be innoticeably tiny however over an acculumated period of time, it can induce substantial variations in an entire population. This process can also result in a new emergence of species or mutations. 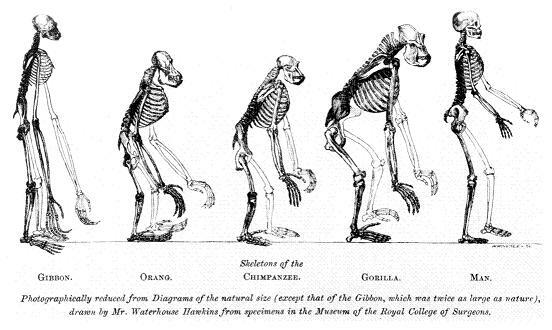 The similarities noted among earth's species make scientists therorize that all of the known species have actually descended from a common ancestor through this process called evolution. Marked difference or deviation from the normal or recognized form, function, or structure. Variations are important since a trait can higher or decrease our chance of survival and reproduction. If one organism has a variation to be immune to a drought and another doesn't, the other one dies but the strong one doesn't. If they were all the same, they would all die and the whole population would die off. Adaptations are clearly protrayed in this diagram of Darwin's finches. He insinuated the finches had evolved and developed adaptations towards their food. You can see in this diagram, the bird that preys on buds and fruit has very huge beaks and they look extremely strong. Well obviously, from that evidence you can infer that those beaks are extremely useful for breaking hard shells on acorns. Moreover, the beak is able to hold larger protions like fruit. An apple is bigger than a tiny worm. Darwin inferred these are adaptions, the need to survive forcing them to change over generations to adapt to their food and environment. An excellent example of evolution is the arms race. There was an arms race between a garter snake and a poisonous newt. The newts were once not as harmful as they are now. However, the good tasting ones which lacked poison got eaten off first by the garter snakes. Half of the garter snakes died from the poison from eating the newts. Thus the strongest reproduced offspring, creating a stronger generation. The worst tasting newts survived in contrast to the good tasting ones since they were eaten off already then they produced a more poisonous generation. Thus, they too became stronger. That is the arms race between garter snakes and newts. We watched a video on Susan's story which was based on a girl who had a lung disease. She took antibotics for it and it stopped. However after a length of time the bacteria/virus came back again. This was because the bacteria had evolved to be immune to the antibotics. This is also another reason why doctors say hand sanitizers make the bacteria immune to it. The weakest bacteria is destroyed whereas the strongest stays and produces offspring. This is a picture of a bacteria.